Is there such thing as a confrontation that is constructive? Confrontation is where hidden conflict comes to the surface. It’s where needs can transform into satisfaction. Where values can find recognition and interests satisfaction. That is if the conflict is addressed constructively. This doesn’t presuppose that all conflicts are fully resolvable, or that things won't get worse before they get better. However, we think it's worth a shot to try to make things better. If confrontation is not handled properly, it might maintain the status quo, or make things worse. 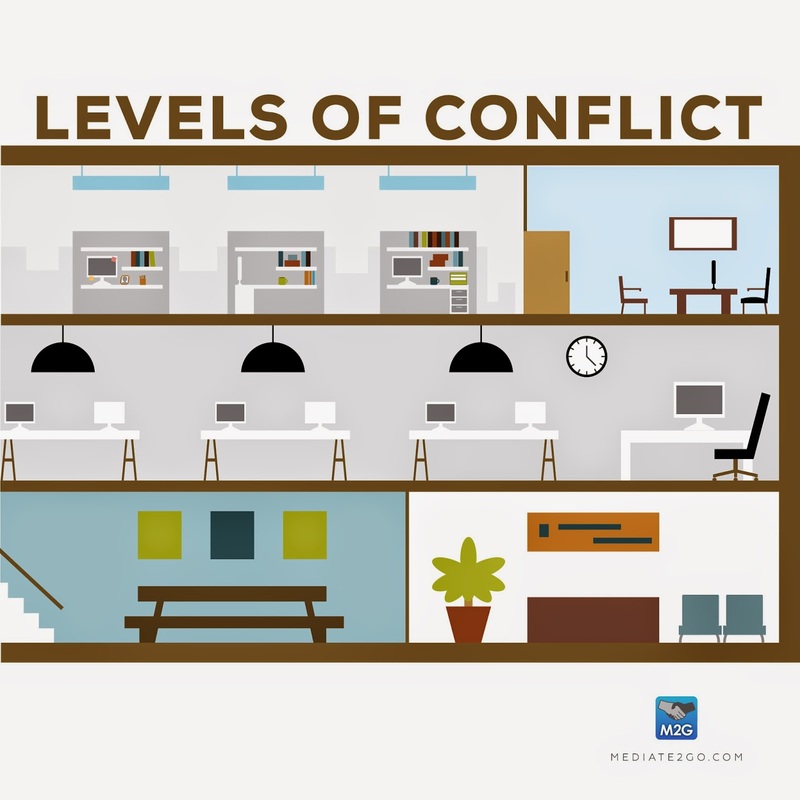 This is known as destructive conflict escalation, which can make it even more challenging to resolve conflict: when “…people get caught in an increasing cycle of [conflict] escalation, distrust, and misunderstanding [become] so severe that a one-stop, settlement-oriented approach to dispute resolution provides only a Band-Aid over a gaping wound. [ii]” Through confronting someone in a respectful manner, you are more likely to avoid this negative conflict escalation cycle. 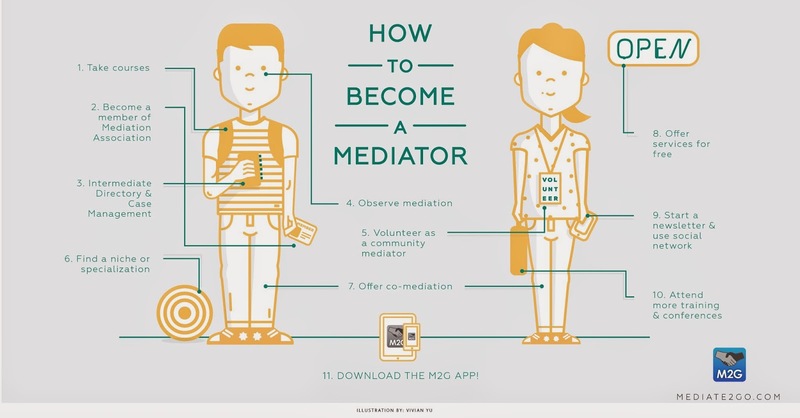 Mediate2go.com recommends trying to have a constructive conversation to make things better. Don't forget to read about the Definition of Trust, Building Trust, and How to Peacefully Resolve Conflict. Constructive confrontation is a method of thinking about confrontation based on the way many mediators look at conflict. This approach aims not to help individuals resolve conflict, but rather help them focus on the processes to help them better confront or speak to someone. [i] When we say confront, we really mean discuss. What are the key principles in making confrontation constructive? Confrontation doesn’t mean pushing only for what you want, but rather focusing on your relationship with the other person and looking for fair and equitable solutions that would benefit both of you equally. The notion of equality is very important to constructive confrontation. Parties must focus beyond selfish desires to those of the greater good, or ‘community values’. [v] In the case of conflict in an organization, the focus can still be on the greater good of the team and organization. This brings us back to the ultimate goal of Constructive Confrontation, which is to transform relationships, “[allow]ing individuals, organizations, and society as a whole to realize the benefits of conflict[…] help[ing] people, organizations, and societies to learn, grow and change. [vi]” With these key principles in mind, we now have a framework to approach confrontation in a constructive way. Here are some practical suggestions that will help you prepare for a confrontation with someone you supervise. Reflect on your goal for the conversation and ensure that you focus on a supportive tone rather than criticizing one. What assumptions do you make about the person? Do they know about the situation that bothers you? They might not be aware of it. What exactly is hitting your nerves? Does the situation reflect a past experience and are you being too emotional? Think of some good ways to start the conversation, so it is launched from this positive approach. Some recommendations from www.judyringer.com include: “I have something I’d like to discuss with you that I think will help us work together more effectively.” I’d like to talk about ____________ with you, but first I’d like to get your point of view.” "I need your help with what just happened. Do you have a few minutes to talk?" "I think we have different perceptions about _____________________. I’d like to hear your thinking on this." "I’d like to see if we might reach a better understanding about ___________. I really want to hear your feelings about this and share my perspective as well." Timing is everything, as well as the location. Choose a neutral and private location for your discussion together and be sure that both of you have enough time to have a deep discussion. Also, make sure that both of you are calm (to calm down, it takes between 20 and 60 minutes). Confrontation doesn’t mean being aggressive. In fact, the best way of doing so is through being a good listener. Be curious and keep asking questions. Do not interrupt. It is their time to speak. The key that you don’t become defensive. Show that you’ve listened and ‘heard’ them. A good way of achieving this is by playing ‘devil’s advocate’ against yourself. See them as someone you are working with and not against and start thinking of ways of working out the situation. If you begin to argue again, them go back to Confrontation and Inquiry once again. Even ask them how we can find a better way of working together. Dan Lawlor is a Mediate2go Blogger focused on estates and commercial dispute resolution. Dan is a graduate of McGill University's Faculty of Law with interests in conflict resolution, business law and writing. He played an important role as a director with Mediation at McGill, building connections with the community to improve outreach. Currently he is a student-at-law with Campbell Mihailovich Uggenti LLP in Hamilton, Ontario. Dan loves team sports, reading, and traveling. [i] Burgess, H. and Burgess, G. (1996), Constructive confrontation: A transformative approach to intractable conflicts. Conflict Resolution Quarterly, 13: 305–322. doi: 10.1002/crq.3900130407.